The new gym at Ocosta Elementary outside Westport is strong enough to withstand a megaquake and tsunami — and can shelter at least 2,000 people on its roof. 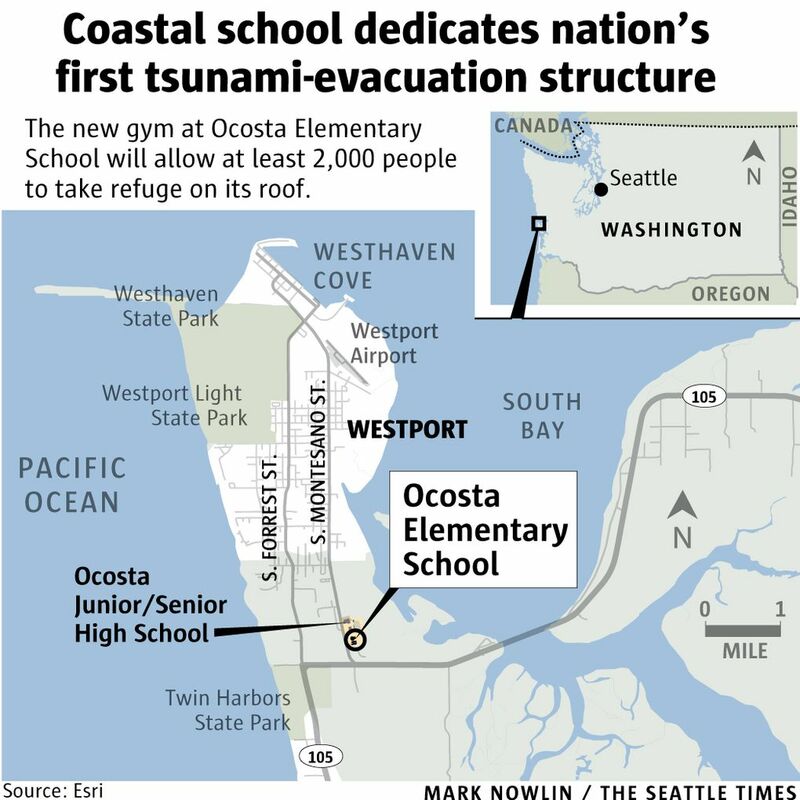 WESTPORT, Grays Harbor County — The first students to race up the stairs at Ocosta Elementary School’s new gym and tsunami refuge were so excited, it took teachers a while to corral them into orderly lines on the rooftop. 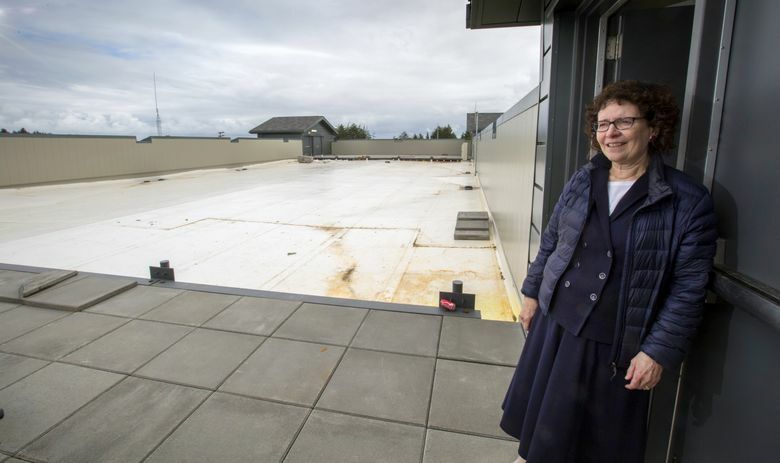 “It’s really cool to finally see kids up here,” Paula Akerlund said, as the third-graders jostled and joked and tried to peer over the tall parapet on a sunny spring afternoon. Akerlund is superintendent of the Ocosta School District, headquartered near Westport a scant half-mile from the Pacific Ocean. 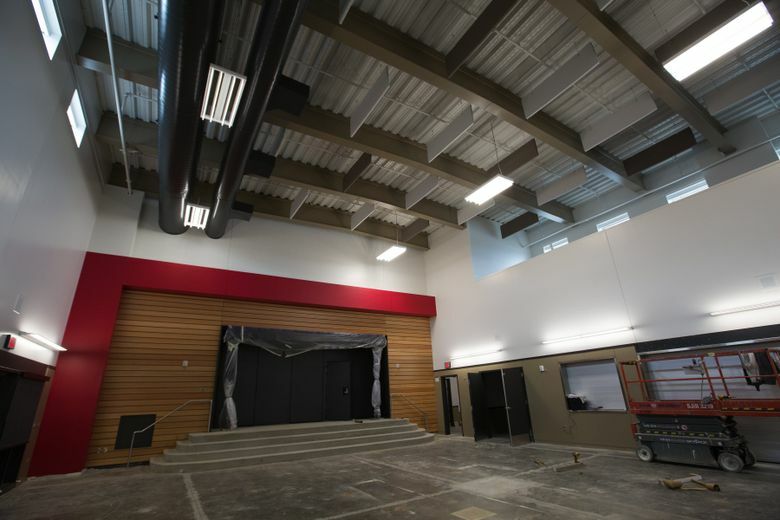 On Saturday, she will preside over a dedication ceremony for what — on the outside — looks pretty much like any modern school complex. What’s unique about this gym is mostly hidden from view: tons of concrete and steel that make it the first structure in the nation designed to withstand a tsunami and provide a safe haven from the rushing waters. With the junior-senior high school on the same campus, all the district’s 700 students and staff can take shelter on the roof. 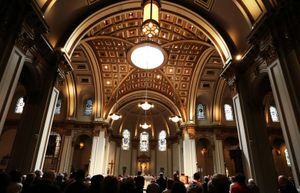 The structure was designed to accommodate 1,000 people comfortably, and is strong enough to hold at least twice that many. “It could easily fit 2,000 packed in shoulder to shoulder,” said Cale Ash, principal at Degenkolb Engineers in Seattle and lead structural engineer on the project. The new school and gym are anchored by 169 pilings sunk up to 50 feet deep. Each corner of the flat-roofed gym is dominated by a massive staircase constructed of 14-inch-thick concrete with 50,000 pounds of rebar. Steel beams 3 feet wide crisscross the gym’s ceiling for extra strength. Engineers factored in safety margins to withstand battering by the immense loads of trees, rubble and other debris tsunamis can carry. The pilings are deep enough to hold firm even if the water scours out the soil and breaks through the lower portion of the building. The staircases are extra wide, so people will be able to get to safety quickly, Ash said. The roof sits 53 feet above sea level. That’s well above the 40-foot surges predicted in the vicinity by worst-case tsunami models. The 6-foot parapet provides an additional layer of protection to prevent the water from sweeping people off the roof — as happened in Japan’s 2011 earthquake and tsunami. Akerlund took charge of the district shortly after the Japan disaster. Images of the tsunami tossing cars like toys, pulverizing homes and sweeping ships inland were fresh in everyone’s minds. The Ocosta school complex sits on a peninsula surrounded by water with no high ground nearby. 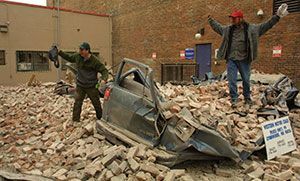 A magnitude 9 Cascadia megaquake, which is predicted to hit the area someday, will destroy roads and bridges and cause the ground to drop by 6 feet or more. The tsunami will roll ashore about 20 minutes later. “You’re not going to be able to drive anywhere,” Akerlund said. The district’s old evacuation plan was to herd the students to the second floor of the high school. But that building opened in the late 1980s and might not survive the earthquake, let alone the tsunami. 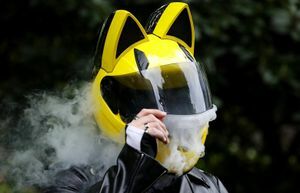 “That’s the thing that wakes you up at 3 in the morning,” Akerlund said. So she turned to the community. It was clear the old elementary school needed to be replaced, she said. Modern building codes require any new school to be earthquake resistant. 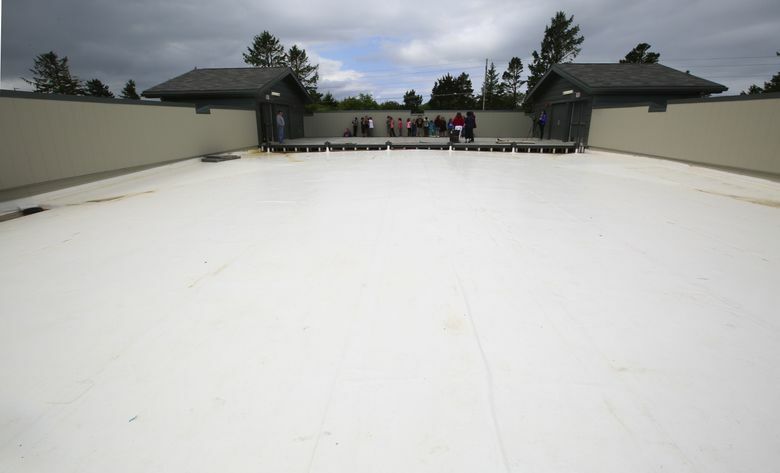 Reinforcing a portion of the complex — the gym — to also serve as a tsunami-evacuation structure had never been done before. 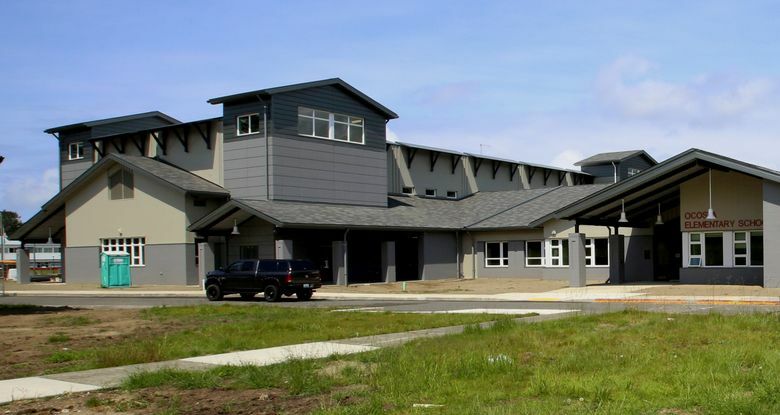 “Everybody was worried the cost was going to be astronomical,” said Chuck Wallace, deputy director of emergency management for Grays Harbor County. But the premium proved to be only about $2 million, or less than 15 percent of the total project cost of $16 million. “When you consider that the building is designed to save a thousand people or more, the cost per person is not very high,” Ash said. Despite the region’s stagnant economy, residents overwhelmingly approved a levy to pay for the project. “People made a big sacrifice of their tax dollars to make this happen,” Akerlund said. The refuge is not just for students and staff, she added. It’s intended to be accessible by anyone nearby when the quake and tsunami strike. The external stairway doors are normally locked, but several triggers will open them automatically, including a tsunami alert or power outage. 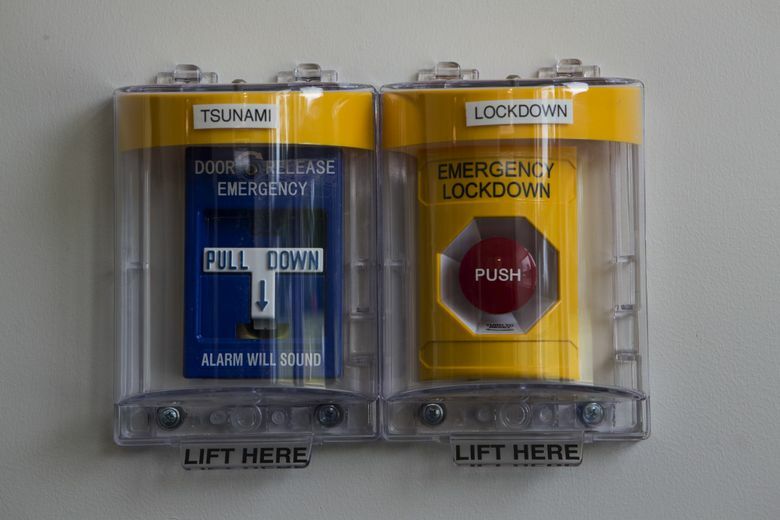 School personnel can also open them with the push of a button. If all else fails, there’s a “break-glass-in-emergency” lever mounted outside each entrance, with battery-powered backup and lights. And teenagers take note: Video cameras are positioned to capture evidence of late-night mischief. The district also plans to stash enough emergency supplies on the roof to last for several days. The Ocosta dedication comes on the heels of this week’s four-day exercise organized by the Federal Emergency Management Agency to practice for a Cascadia megaquake and tsunami. FEMA estimates 10,000 people or more could die in the tsunami, depending on what time of year the quake strikes. The Ocosta tsunami haven is a good start, but thousands of people remain at risk across the region, Akerlund said. The city of Long Beach is considering construction of a 30-foot-tall berm, or artificial hill, for tsunami evacuation. And the Quinault Indian Nation plans a four-story parking garage at its Quinault Beach Resort and Casino in Ocean Shores that could also serve as a tsunami refuge. But according to one analysis, it would take more than 50 tsunami-evacuation structures to provide safe havens for everyone in the highest-risk zones of Grays Harbor and Pacific counties.